Jordan Air Jordan 13 Carmelo Anthony "Class of 2002"
Reminiscing about Carmelo Anthony's time at Virginia's Oak Hill Academy, the Air Jordan 13 uses a black and university gold with red accents on the nylon and leather combo upper. Release date is September 15, 2018. 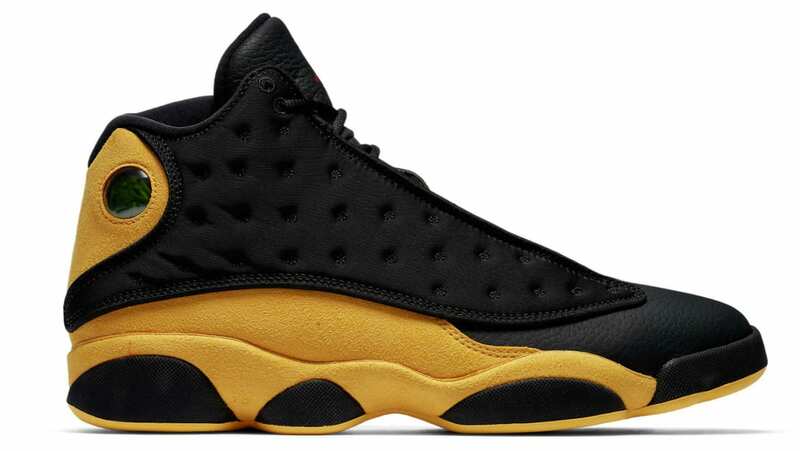 News Air Jordan 13 Carmelo Anthony "Class of 2002"